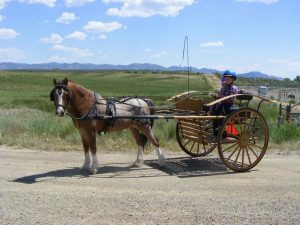 Weehaven Welsh Ponies is a Southwest Colorado Welsh Pony Farm that promotes the responsible breeding, training, showing and sales of the highest quality Section A Welsh Mountain Ponies and Section B Ponies. Welsh Mountain Ponies are a highly versatile and well-loved breed, known for their intelligence, friendly personalities, and calm temperament. All of my Welsh Mountain Ponies are registered with the Welsh Pony and Cob Society of America (WPCSA). Visit our Ponies for Sale page to learn more about Welsh Mountain Ponies currently available at Weehaven Welsh Ponies in Southwest Colorado.